It’s definitely not the first time that the guys at Epic Games muck around with this kind of Easter Egg as they did something similar with a meteorite that was shown in the sky for several days until it crashed into the amp leaving traces of destruction. However, that event didn’t take place live as is the case of the rocket launch and nobody saw how it crashed. 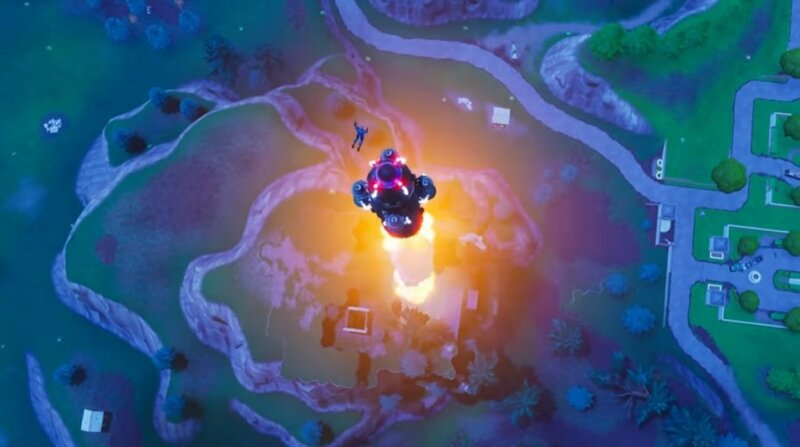 Nevertheless, the launch of the Fortnite rocket was surrounded by plenty of controversy because a griefer (a kind of online video game user with a violent and annoying behavior that simply wants to get on everyone’s nerves) took advantage of the situation to break the record of players killed by a single user: whilst everyone was looking up into the sky, Elemental_Rey, as he’s called, carried out a carnage. There are plenty of discussions about the legitimacy of such landmark.